This moth has been painted to resemble 1930s stained glass. The Union Jack is featured on the left side and Amy Johnson’s plane in flight appears on the right side. 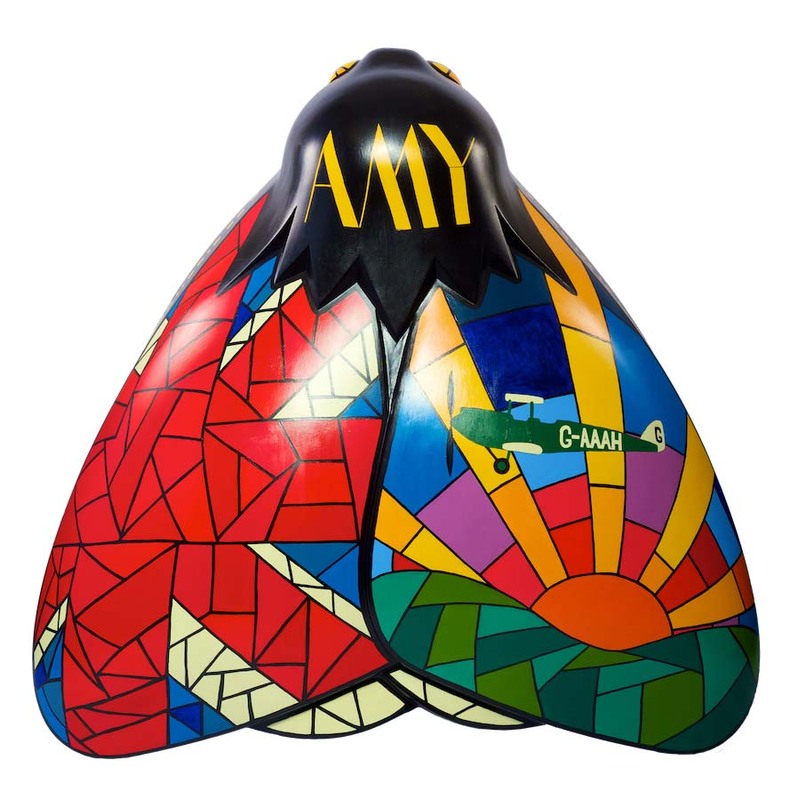 ‘Amy Johnson’ can be found written in Morse code on both sides underneath the moth. Laura Beardshaw is a pixel painter and writer from Hull. Bostonair Group Ltd provides services to the aerospace industry through Bostonair, and to the energy and power generation industries via Boston Energy. Bostonair started life as an air charter company which continued until 1998 when the company changed course to supply engineers and technicians to the aircraft industry.